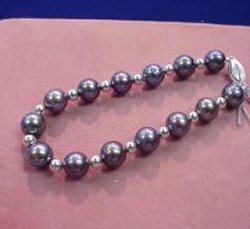 Japanese Akoya pearl bracelet, measures 6.5mm x 7 inch length. 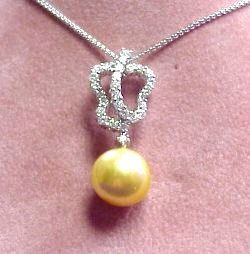 Strung with our popular 14K gold clasp. Very elegant! 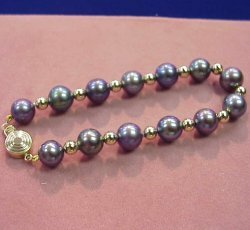 7mm Chinese fresh water black pearl bracelet with 3mm 14K gold beads. 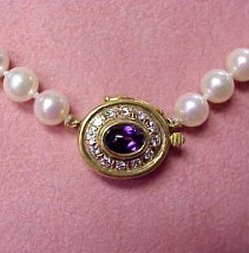 Measures 7" and is ready to wear. 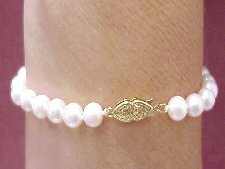 Triple 7 inch long 5mm Chinese fresh water pearl bracelet with 14K gold clasp. 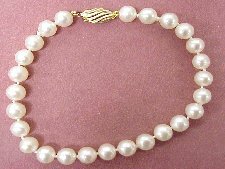 Triple 8 inch long 5mm Chinese fresh water pearl bracelet with 14K gold clasp. 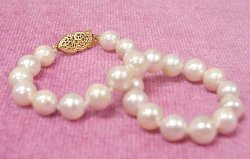 Double strand 7 inch long 5mm Chinese fresh water pearl bracelet with 14K gold clasp. 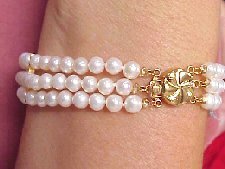 6mm AA+ 7 inch long Chinese dual strand bracelet. 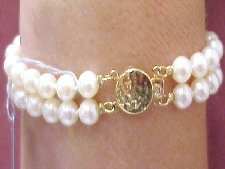 6mm Chinese salt water pearl bracelet with 14K gold clasp. 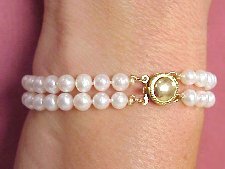 6.5mm Chinese salt water pearl braclet with 14K gold clasp. 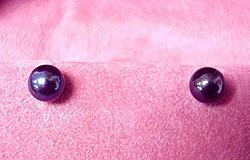 Popular 5mm black (dyed) Japanese Akoya pearl studs mounted in 14K gold with 14K gold backs of course!